From our own tomato plants that were torturing us with green fruit to the point we were thinking we’d only make green tomato chutney this year and are now flooding us with ripe red tomatoes every day; famine or flood. Preheat the oven to 190ºC/Gas Mark 5. Lightly oil a medium-sized roasting dish. Halve the tomatoes and put them, cut side up, in the dish so they fit snugly. Crush the garlic with a pinch of salt, then beat it with the honey, olive oil and a generous grinding of black pepper. 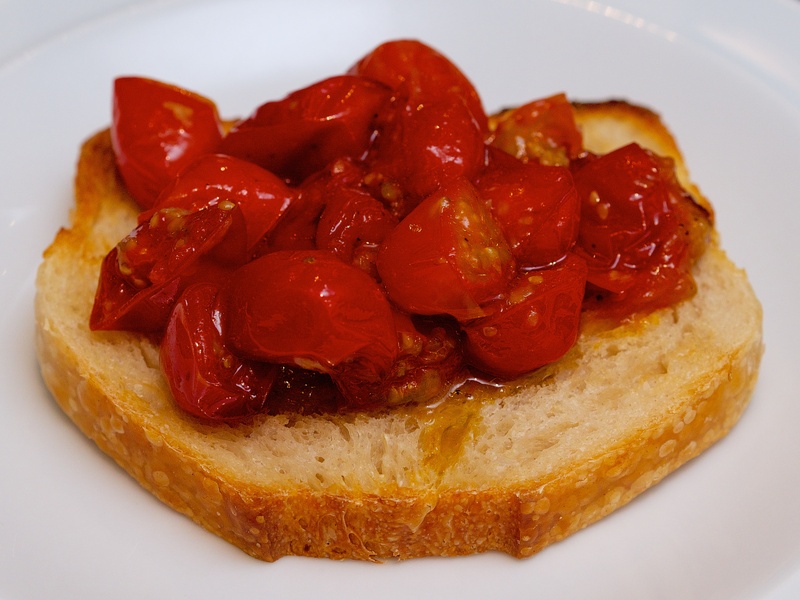 Spoon this sticky mixture over the tomatoes, then roast for about 30 minutes or until golden and bubbling. Serve piled on toast with a sprinkling of sea salt flakes on the top. Jono and Jules are back from Tuscany and are very hungry! Quite a lot has happened since our last post. We moved house, then we got married, then we went to London, Paris and Italy. Lot’s of eating and drinking but no time for blog posts. When we got home we couldn’t work out if our new house had been robbed or if we had just left it in a complete state of disarray. Thankfully the latter. So needless to say we left the mess where it was and headed to the shops to get some ingredients for a tasty breakfast/brunch and two course dinner. You could probably work this out for yourselves. Fry the mushrooms for about 5 minutes in a knob of butter until they’re soft and your mouth starts watering. Add the garlic and cook for another minute. Take the pan off the heat and stir in another knob of butter and the parsley. 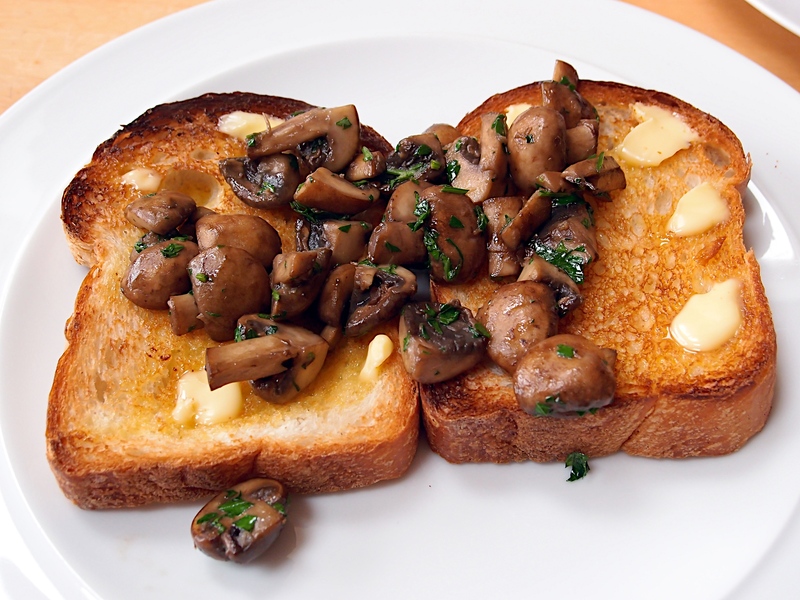 Throw the mushrooms on top of your toast.